Cheese from the Kornmehl Farm in the Negev. 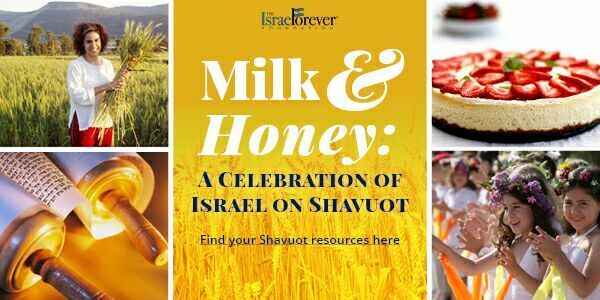 Shavuot, also known as the festival of Weeks, commemorates the anniversary of the day G-d gave the Torah to the people of Israel at Mount Sinai. 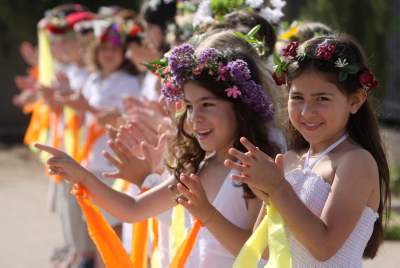 It is the second of three major festivals with historical and agricultural significance, the other two being Passover and Sukkot. Agriculturally speaking, it commemorates the time when the first fruits were harvested and brought to the temple. 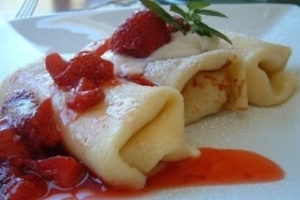 Shavuot also happens to be my favorite holiday in Israel for one reason only: It is a holiday celebrated by enjoying a feast of dairy products and Israeli cheeses are some of the best in the world. The cheese selection at the Schwartzman Dairy. I am a self-proclaimed and widely-known cheese head. I never met a cheese I didn’t love and I have spent much time touring Israel’s cheese makers to find the best. This little dairy is one of my all time favorites and they are always busy! It’s best to go when the weather is warm so you can sit outside and enjoy the beautiful patio. 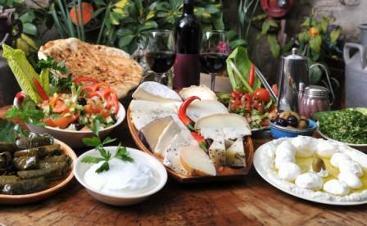 They offer a wide selection of cheeses, hard or soft, salty or stinky and they are all delicious. You can find them in Bat Shlomo, the old Moshav, just north of Zichron Ya’acov on Mount Carmel. Conveniently located in the Sharon region of central Israel, Hanan the Cheese Maker makes a few cheeses exceptionally well. My personal favorite is his brie made from goat’s milk! The atmosphere is always tranquil with large family style tables set up under the trees on the dairy. This is one of my favorite escapes after a long week at work. South of Be’er Sheva, this little goat farm is a surprising gem in the quiet hills of the Negev. Visiting this little goat farm, their cheeses are unique versions of famous french cheeses compliments of the owners training in France. 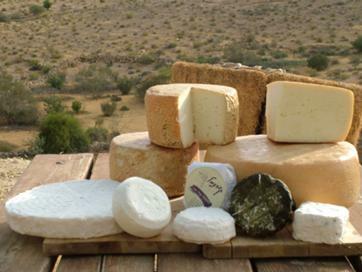 Just off of route 40, this little farm offers delicious cheeses and beautiful desert views. Jacob’s Cheese, located in the Hefer Valley, offers a wide variety of cheese made from cow, goat and sheep milk. Following a family tradition that began in 1936 when Isaac and Ruth Jacobs bought a small farm in Kfar HaRoe, their grandsons Eran and Assaf now run the business, selling delicious cheeses all over Israel. Located in the hills East of Jerusalem, Shai and his family founded a little goat farm in 1974. Now their herd consists of more than 170 goats and their cheeses are strongly influenced by the surroundings. Shai offers training programs and seminars on goat farming and cheese making but best of all is the cheese! One of the first dairies in Israel to make boutique cheeses directly on the farm, this little gem has some of the best goat cheeses I have ever had. Their herd of goats, a special Alpine breed originally from France, provide the milk for more than 30 types of cheeses. The best thing to do is order the ‘all-you-can-eat’ cheese platter which comes with all types of cheeses and salads that are delicious, fresh and organic. You can visit Ein Kamonim on the Acco-Safed highway 85 between the Hanania Intersection and Nahal Amud. Enjoy your cheeses and Happy Shavuot from Milestones Israel! Read the original blog post from Milestones Israel. What's your favorite Jewish holiday?